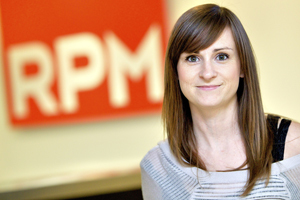 RPM has appointed Chloe Ward as head of its corporate division following her work with Nando's, BSkyB and Umbro. Ward will lead the agency’s corporate division, taking responsibility for overseeing the delivery of B2B experiences. Former head of corporate Katie Kenny left the agency in July, along with director of corporate Ian Irving. The pair set up the division in November 2009, after leaving agency Sledge. Ward has already managed campaigns for brands including Nando’s and BSkyB, as well as being involved with Umbro’s conference as part of the launch of its autumn/winter 2011 collection. RPM managing director Dom Robertson said: "Having worked alongside Chloe for a number of years, I’m thrilled to have her head up our corporate division and am sure she’ll build on the strong team we already have in place. Chloe will play a key role for us to continue to grow our B2B client base and extend our capabilities in delivering creative and compelling experiences which truly engage employees and stakeholders."